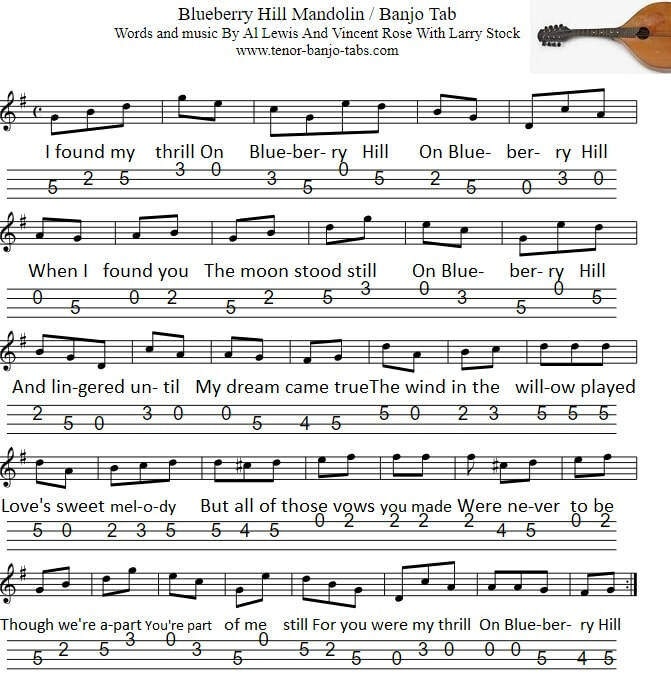 The sheet music tab for Blueberry Hill is in the key of G Major. The song was made popular by Fats Domino. 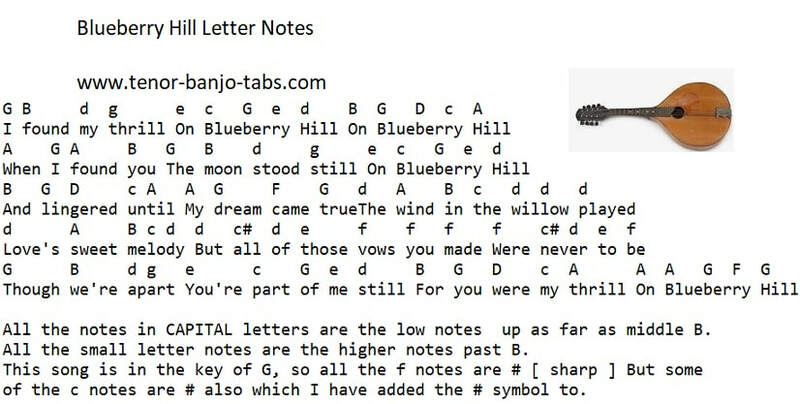 Also included are the easy to follow letter notes for Blueberry Hill.